In the new / alternate timeline, Barry has got everything that he ever dreamt of. It is the result / aftermath of what Barry Allen did when he went back in time and rescued his mother getting killed from Eobard Thawne / ReverseFlash. Below, we have some spoilers and predictions. The second installment ended with a major cliffhanger. He did it because Hunter Zoloman aka Zoom killed his father and then, the Flash from Earth 3 turned out to be his father’s doppelganger. Earth 3’s Flash reminded him more of his dad. Then, he took the decision of saving his mother, Nora. In the new timeline, he has his mother and father with him as well as he proposed Irish West and she accepted it. Now, Barry can live like a regular guy as there is another Flash to save the city. 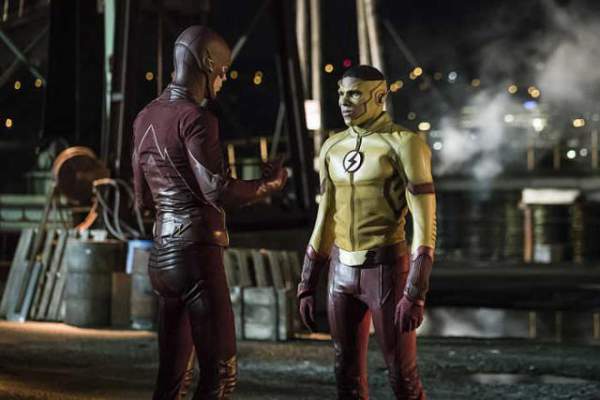 He will get started to enjoy his new life and the aftermath of the Mirage (new timeline) will follow consequences as Eobard tells him in one of the premiere clips. Barry captures Thawne, and he didn’t get to kill Earth 1 Harrison Wells and his wife. The results of changing past start when Barry begins to disremember his past life as well as his powers. Reverse Flash warns him of further consequences and tells him to return to his original life to avoid coming destruction. In one of the promos, Eobard tells him of the approaching common enemy, the time. It looks like he wasn’t ready for the disaster and at the end, he will be forced to choose between the two worlds. “The Flash” episode 1 of Season 3 “Flashpoint” will air on October 4, Tuesday on the CW. You can watch it on CW.com or via CW app by downloading it.